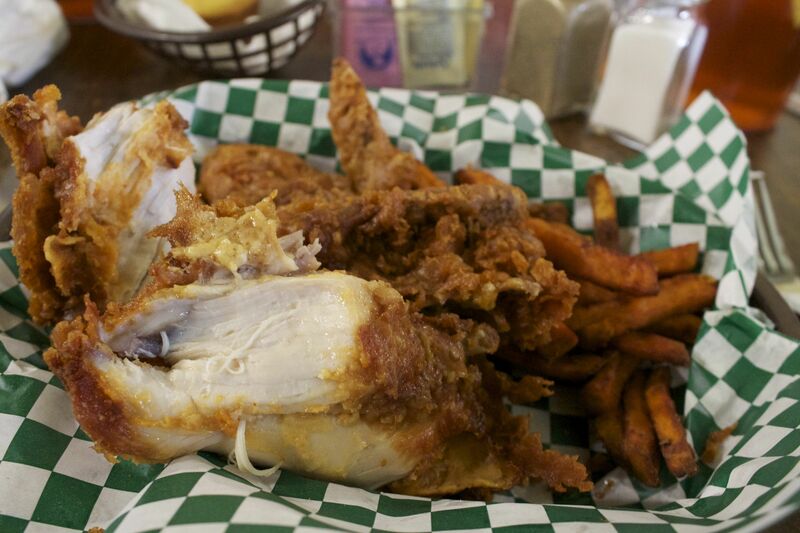 If you like fried chicken, then a must eat destination is Willie Mae’s Scotch House in the 7th Ward of New Orleans. 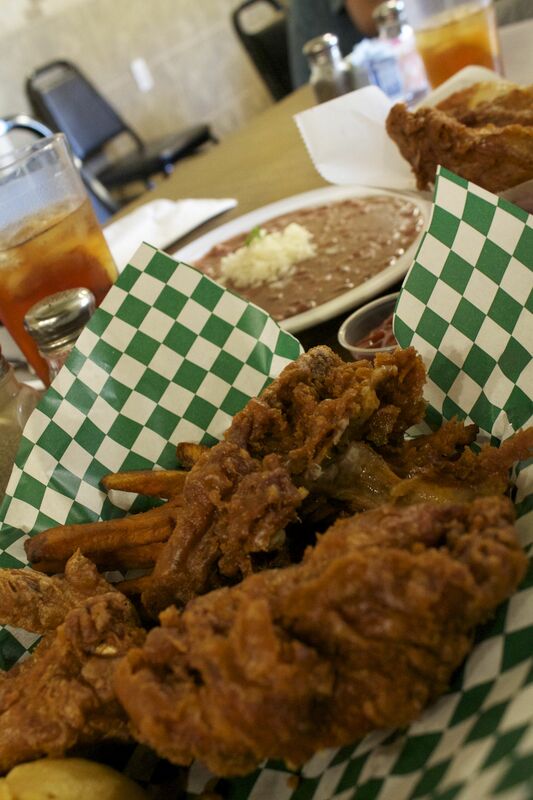 Some people think it is the best fried chicken in the United States. It is definitely some of the best fried chicken I’ve ever eaten. The name comes from when the location was a bar and the interior still looks like someone’s home, with three rooms of tables divided by the kitchen. The restaurant was badly flooded in the levee breaks after Hurricane Katrina and they had to take it back to the studs to rebuild. 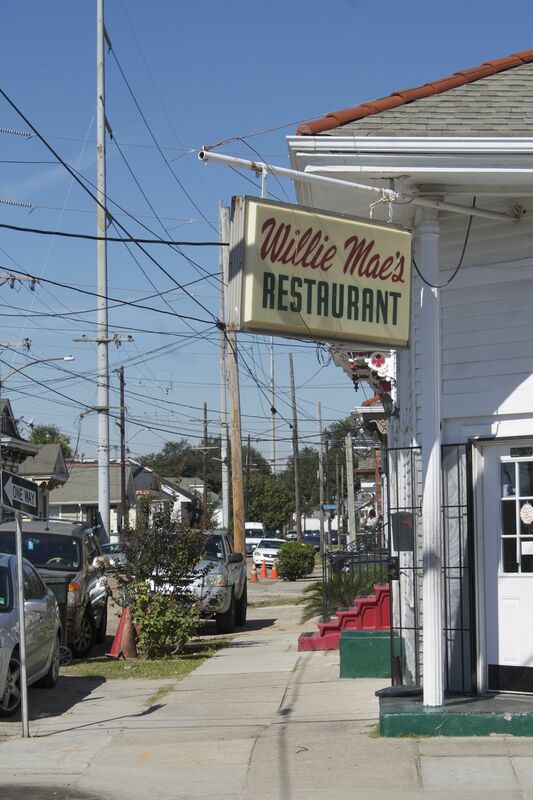 Willie Mae retired (at age 90) after the restaurant reopened two years to the day of Katrina’s landfall and her great-granddaughter runs it now. There are other things on the menu. Some, like the breaded pork chop, are even highly recommended. I go for the fried chicken. I ordered mine with sweet potato fries. Dad got the salad (not pictured) and Mom got the red beans (with just a dab of rice). The batter is thick and spicy and the meat is very juicy. It is so good. My mouth and tummy were very happy with my meal. Fried chicken can take a while but the service here is fast and friendly and while you can sometimes wait a bit, it won’t be too long before you’re enjoying your own plate of fried chicken.